Republicans in the House of Representatives released a report in February that relies on a misleading and incomplete review of social-science literature to paint the nation’s anti-poverty programs as largely ineffectual and counterproductive. The House Budget Committee report purports to be an evidence-based analysis of the effectiveness of the safety net programs that emerged as a result of President Lyndon B. Johnson’s War on Poverty, including the Supplemental Nutrition Assistance Program, or SNAP, formerly known as food stamps; Medicare; Medicaid; Head Start; and expanded Social Security. Unfortunately, the review is so riddled with inaccuracies that many of the leading academics cited in it have publicly accused Rep. Paul Ryan (R-WI), chairman of the House Budget Committee, of misrepresenting their work. In reality, there is little evidence to support the report’s conclusion that federal programs exacerbate poverty by creating disincentives for people to work. The report argues that anti-poverty programs reduce labor-force participation by discouraging work, dooming program participants to a life of poverty. As Rep. Ryan has previously stated, “We don’t want to turn the safety net into a hammock that lulls able-bodied people to lives of dependency and complacency, that drains them of their will and their incentive to make the most of their lives.” The report attempts to back up this assertion with social-science research, but it is not the unbiased, evidenced-based review that it claims to be. There is also little evidence that the safety net reduces labor participation by much, if at all. Some policies—such as the Earned Income Tax Credit, or EITC—have been shown to increase work among recipients—as Rep. Ryan acknowledges. Where policies do negatively affect labor participation, the result is small and has a very limited impact on poverty levels. A comprehensive review of the literature reveals that the safety net supports social mobility and strengthens our economy. A significant body of evidence supports the view that, far from creating a so-called poverty trap, the safety net actually reduces poverty, increases economic mobility, and strengthens our national economy. Moreover, studies have shown that many antipoverty programs, especially those that target children, offer an excellent return on investment to taxpayers. 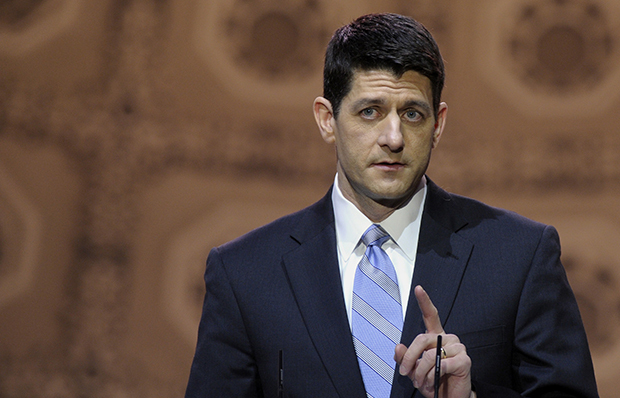 Rep. Ryan’s report vastly understates the success of the War on Poverty. The report points out that the official poverty rate has declined just a small percentage—from 17.3 percent in 1965 to 15 percent in 2012—suggesting that the poverty rate has changed very little since the start of the War on Poverty. But the official poverty rate measures income before taxes and does not include capital gains or noncash benefits such as public housing, Medicaid, and SNAP benefits. As a result, families who benefit from tax measures, such as the EITC, or income supports, such as SNAP, appear to be no better off than families who are not enrolled in these programs. In other words, the report makes a claim on the effectiveness of federal anti-poverty policies using a measure of poverty that explicitly ignores the impact of those same policies. An analysis by the Council of Economic Advisers shows that when safety net programs are taken into account, the poverty rate actually fell from 26 percent in 1967 to 16 percent in 2012—a reduction of more than one-third. This is important because it demonstrates that the safety net succeeds in raising people out of poverty, not trapping them in poverty. The relationship between the poverty rate and the business cycle also suggests that anti-poverty programs successfully reduce poverty. If the safety net has no impact on poverty levels, one would expect that the poverty rate would closely track the business cycle—that it would rise or fall in proportion to changes in the unemployment rate. But the Council of Economic Advisers found that, despite record levels of unemployment during the Great Recession, the poverty level rose only 0.5 percentage points. And it concluded that the safety net “almost entirely eliminates cyclical swings in the presence of deep poverty.” This means that the safety net lifts people out of poverty during times of high unemployment and slow economic growth. Moreover, safety net programs serve as automatic fiscal stabilizers that boost spending during economic downturns, reducing the severity of recessions and benefiting everyone. Finally, the fact that safety net programs serve a majority of Americans at some point in their lives indicates that, contrary to Rep. Ryan’s suggestion, receiving benefits does not doom a person to a life of poverty. If the safety net creates a poverty trap, as Rep. Ryan argues, anti-poverty programs would serve the same small subset of the population year in and year out, as the system traps families and prevents them from moving out of poverty. In reality, safety net programs serve most Americans, including many middle-class families who experience a temporary period of financial hardship. For example, more than 50 percent of tax filers with children benefit from the EITC at some point in their lives, according to research by Joint Committee on Taxation economist Tim Dowd and Ball State University economist John B. Horowitz. Another analysis by the Council of Economic Advisers finds that nearly 30 percent of Americans benefit from SNAP, and 34 percent receive support from SNAP; Temporary Assistance for Needy Families, or TANF, previously known as Aid to Families with Dependent Children, or AFDC; or Supplemental Security Income, or SSI. Seventy percent have received income from SNAP, AFDC/TANF, SSI, or unemployment insurance. Most Americans rely on the social safety net at some point in their lives to keep them afloat during difficult times. There is also significant evidence that the safety net increases economic mobility, especially for poor children. For example, European Commission economist Eliana Garces, Duke University economist Duncan Thomas, and Princeton University economist Janet Currie found that participating in Head Start makes children more likely to complete high school and attend college. Harvard Graduate School of Education professor David Deming found that young adults who participated in Head Start as children also score higher on a summary index of young-adult outcomes including crime, teen parenthood, health status, and idleness—with Head Start responsible for closing one-third of the gap in the outcome index between children in families at the median and bottom quartiles of family income. Beyond Head Start, the creation of Medicare led to a dramatic decline in the black-white infant health and mortality gap in the 1960s, a change that Brown University economist Kenneth Chay, Northwestern University economist Jonathan Guryan, and Federal Reserve Bank of Chicago economist Bhashkar Mazumder have attributed to the large student-achievement gains for black teenagers in the 1980s. According to an analysis by National Bureau of Economic Research economists Raj Chetty and John Friedman, also of Harvard University, and Jonah Rockoff, also of Columbia University, the additional income from refundable tax credits improves children’s test scores—possibly because parents are able to spend more on educational resources for their children or move into neighborhoods with better schools, though the precise mechanism is not yet known. And University of California, Berkeley, economist Hilary W. Hoynes; Northwestern University economist Diane Whitmore Schanzenbach; and Columbia University economist Douglas Almond have found that food stamps increase women’s economic self-sufficiency. Contrary to Rep. Ryan’s misleading claims, the evidence is clear: The safety net does not trap people in poverty. Instead, it propels them into the middle class. Finally, the safety net does not just benefit Americans who directly receive program assistance. Reducing poverty and increasing mobility through the safety net are smart investments in America’s economic growth. An analysis by Georgetown University economist Harry Holzer and his colleagues finds that poverty costs our economy 4 percent of gross domestic product per year, or more than $500 billion. This is the result of low productivity and earnings, poor health, and high levels of crime and incarceration among adults who grew up poor. Similarly, Brandeis University professor Donald Shepard and his colleagues have calculated that hunger costs our nation at least $167.5 billion per year in lost economic productivity, public education costs, avoidable health care costs, and food charity. Public investments in the safety net—specifically, programs that target poor children—have been shown to generate exceptionally high returns that benefit all Americans. For example, University of Virginia professor Chloe Gibbs; University of Chicago economist Jens Ludwig; and University of California, Davis, economist Douglas L. Miller estimate that Head Start produces a benefit-cost ratio of more than 7-to-1. In short, a large body of research reveals that America’s anti-poverty programs have successfully lifted millions of families out of poverty and into the middle class. Rep. Ryan’s report omits this relevant evidence and inaccurately depicts the War on Poverty as largely ineffectual. Rep. Ryan argues that anti-poverty programs are counterproductive because means-tested safety net programs create high marginal tax rates for recipients, “effectively discouraging them from making more money” and creating a “poverty trap.” The implication is that, absent the alleged negative work incentives created by the safety net, families would work more and not be poor. It is true that the benefits of many anti-poverty programs are reduced or eliminated when the recipient’s income exceeds the program’s limit—this is what it means for a program to be means tested. It is not true, however, that most recipients face high marginal tax rates as a result or that recipients generally respond to these benefit cliffs by reducing work. Moreover, to the extent that small work disincentives may exist in some programs, the disincentives do not keep recipients in poverty when they would otherwise work enough hours to stay out of poverty. The Congressional Budget Office analysis cited in Rep. Ryan’s report finds that very few families face high marginal tax rates as a result of reductions in federal benefits. Less than 5 percent of low- and moderate-income taxpayers faced a marginal tax rate of 50 percent or more in 2012, and the average rate for these workers was 30 percent—far from the top effective rate of “nearly 100 percent” quoted in the House Republicans’ report. And, although the report cites Urban Institute economist C. Eugene Steuerle to claim that federal programs create a poverty trap, Steurele has actually stated in congressional testimony that “the poverty trap has been largely removed.” Instead, it is workers who earn about twice the poverty level who experience the steepest drop in benefits resulting from increased income. With that being said, there are a number of simple ways to eliminate these cliffs, such as extending the phase-out range for programs. In fact, the Affordable Care Act, or ACA, does exactly that to the Medicaid eligibility cliff. The law allows states to expand Medicaid eligibility to 138 percent of the federal poverty level and also provides subsidies to help offset the cost of insurance for individuals earning between 100 percent and 400 percent of the poverty line. In doing so, it removes the steep eligibility cliffs and any theoretical work disincentives they may create. However, Rep. Ryan has ardently opposed the ACA, and implementing reforms to smooth other benefit cliffs would involve spending more on anti-poverty programs, not less, as Ryan has repeatedly proposed to do. Even if more workers faced these cliffs, there is no reason to conclude that they would necessarily respond by working less. When your marginal tax rate increases, you effectively obtain less money for each hour worked. Economic theory predicts that you might respond to this in one of two ways. On one hand, you may choose to work less because you are getting less reward from work, which is called the substitution effect. On the other hand, you might work more in order to recoup the lost income, known as the income effect. Rep. Ryan assumes that a worker facing a benefit cliff will always work less, but it is just as possible that the worker will respond by working more. In fact, research has largely shown that people do not respond to a benefit cliff by working substantially less. To be sure, some programs may have a small negative effect on work, as this section will discuss. To the extent that small work disincentives exist, however, they do not keep recipients impoverished. In an exhaustive program-by-program analysis of all federal antipoverty programs, Mathematica Policy Research economist Yonatan Ben-Shalom, Johns Hopkins University economist Robert A. Moffitt, and University of Wisconsin-Madison economist John Karl Scholz found that the work-disincentive effects have “basically zero” effect on the overall poverty rate. And additional research on individual safety net programs shows that federal anti-poverty efforts do not discourage work by much, if at all. Studies have found, for example, the behavioral impact of Supplemental Security Income to be small, with little effect on how well the program reduces poverty. SSI provides modest cash assistance to very poor people who are disabled, blind, or elderly. University of California, Irvine, economist David Neumark and University of Illinois economist Elizabeth T. Powers, two authors cited in Rep. Ryan’s report, looked at employment among likely SSI participants ages 62 to 64 and found that a $100 increase in monthly SSI benefits was associated with a 5 percent reduction in employment. This suggests a small disincentive effect among near retirees. However, few have researched the effect of SSI on the general population of eligible low-income people. Ben-Shalom, Moffitt, and Scholz determined that there is a small behavioral response to SSI but that the work disincentive reduces the program’s anti-poverty effects by just one-eighth. In other words, while a small number of recipients may reduce their work in response to SSI, it cannot be said that doing so “traps” them in poverty. The Supplemental Nutrition Assistance Program also has little effect on labor participation. Even Rep. Ryan’s report acknowledges that SNAP reduces the labor force only “somewhat,” and Hoynes and Schanzenbach, the economists cited in the report, find what they call just a “modest” reduction in employment and hours worked among SNAP recipients. Similarly, Currie, in a survey of the literature, concluded that most studies found only minimal work-disincentive effects of SNAP—a one-hour-per-week disincentive, at most. It is difficult to imagine that such a small disincentive effect could serve to trap families in poverty when they might otherwise prosper. And Hoynes, Schanzenbach, and Almond have found that SNAP increases economic self-sufficiency for women. There is also little evidence to support the House Budget Committee report’s claim that Medicaid discourages recipients from working. University of Missouri-St. Louis economist Anne E. Winkler, the author cited in the report, found that Medicaid had a “generally significant but small negative impact on an average female head’s probability of being employed” and that it did not affect hours worked. Examining labor-supply behavior of individuals in the Oregon Health Insurance Experiment, Harvard School of Public Health economist Katherine Baicker and her colleagues find that Medicaid recipients are not less likely to be employed nor do they earn less than they otherwise would have. The report also cites University of Wisconsin-Madison economist Barbara Wolfe as evidence of the work-disincentive effects of Medicaid, but the author has publicly criticized its representation of her research. Specifically, she points out that, although the report implies that today’s Medicaid recipients are more likely to receive welfare benefits, “this link has not been in effect since welfare reform [in 1996], when it was no longer a requirement to be on cash assistance (AFDC) to get Medicaid.” In other words, the report fails to take into account a reform that was made nearly 20 years ago. The effect of housing assistance on labor-force participation is small, as the report acknowledges. University of Michigan economist Brian A. Jacob and Jens Ludwig find that Section 8 voucher use reduces quarterly labor-force participation by 4 percentage points and quarterly earnings by $285. University of Oklahoma political scientist Deven Carlson and his colleagues find similar employment effects among Wisconsin voucher recipients. Ben-Shalom, Moffitt, and Scholz find that, while the work disincentive associated with housing assistance reduces the total anti-poverty effects of the program by about half, it reduces the effect by only about one-fifth for households living in deep poverty. Rep. Ryan misrepresents the research on the results of the 1996 welfare reform in his report. Arguing that the “work-first” approach boosted labor-force participation and reduced poverty, the House Budget Committee report cites University of Wisconsin-Madison economist Rebecca M. Blank, who documented a rise in labor-force participation for single mothers with children between 1994 and 1999. It also cites research by Columbia Population Research Center sociologist Christopher Wimer and his colleagues as evidence that welfare reform was responsible for the reduction in child poverty in the 1990s. However, the report fails to note that increased labor-force participation during that time may largely be the result of the economic boom of the 1990s. Wimer has criticized the report’s interpretation of his research on the grounds that it ignores both the economic boom and the major expansion of the Earned Income Tax Credit, telling The Fiscal Times, “While our data can’t disentangle those three things, attributing the decline in poverty after 1993 to the welfare reform of 1996 seems to go beyond what the data show.” In fact, a study by University of Chicago economist Jeffrey Grogger that examines the rise in employment among single mothers in the 1990s found that welfare reform policies accounted for just 13 percent of the total rise in employment, while the EITC expansion and the strong economy accounted for 34 percent and 21 percent of the increase, respectively. In a review of the literature, the Council of Economic Advisers found no studies of the work-disincentive effects of the post-welfare reform Temporary Assistance for Needy Families program, which requires recipients to work. However, studies of the previous Aid to Families with Dependent Children program, which had no work requirements, found only small work-disincentive effects, suggesting that any work-disincentive effects of TANF are likely insignificant. Moreover, the House Budget Committee report touts the unmitigated success of the reforms while ignoring other research, such as Blank’s, that finds that welfare reform hurt the most disadvantaged. House Republicans attacking the safety net is nothing new. For years, Rep. Ryan has proposed federal budgets that would severely cut programs that serve the poor in order to pay for billions of dollars in tax cuts for the rich. Two-thirds of the cuts in Rep. Ryan’s last budget plan would have come from programs that serve low- and moderate-income families, including a nearly 18 percent reduction in SNAP benefits. Some have lauded Rep. Ryan as “visionary,” but there is nothing new about his economic agenda. His budgets come straight from the supply-side playbook, the failed theory of economics that says we should focus on the so-called job creators, reduce taxes and regulations on the wealthiest 1 percent, and wait for prosperity to trickle down to the rest of us. Not only have decades of experience proven this theory wrong, but new evidence in economics also suggests that the best way to grow the economy is to strengthen the middle class and reduce inequality—exactly what our safety net does. Sarah Ayres is a Policy Analyst in the Economic Policy department at the Center for American Progress.